Water vapor from the air can be captured by using commonly available salts and sunlight to supply potable water to land-locked and arid regions across the globe. Several parts of the planet, such as the sub-Saharan countries of Africa, have little to no access to ground-water supplies or surface water and usually are dependent on the transportation of fresh water over long distances, which is ineffective and quite expensive. However, plenty of water exists in the atmosphere even in the driest desert regions, in the form of water droplets and water vapor. It is predicted that the atmosphere contains about 10% of all the fresh water in lakes and nearly six times more water as all the rivers on Earth. 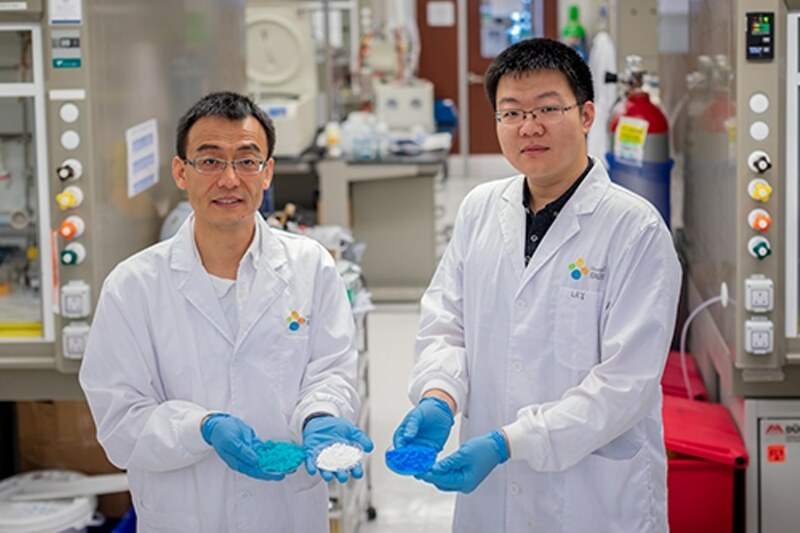 At present, PhD student Renyuan Li and his supervisor Peng Wang from KAUST have analyzed the efficacy of commonly available salts to harvest water vapor from the air at night and, when placed under sunlight, release drinking water. Although techniques like engineered-cold surface-induced condensation or fog harvesting are used around the world, low year-round relative humidity levels and a lack of power to run condensers often prevent the harvesting of atmospheric water for many regions. The scientists analyzed 14 common hydrated and anhydrous salt couples for their chemical and physical stability and for their water-vapor capturing and releasing capacity to discover that three of the salts - copper sulfate, copper chloride, and magnesium sulfate - were efficacious in harvesting water from air with relative humidity as low as 15%. Moreover, upon being subject to even weakened sunlight, the salts released the whole amount of their water to produce clean, fresh water. We found that these salts not only work when the sunlight is strongest, at noon or early afternoon, but that they also perform well during other times of the day, such as morning and late afternoon. This is important because the extended operating hours could broaden the range of conditions in which the process can be used. The study presents an efficient and inexpensive technique for capturing water from the atmosphere with the help of commonly used salts as an absorbent and sunlight as an energy source, which could prove advantageous in various poor and dry regions. “We are now working on salt-based composite materials with significantly enhanced water-uptake capacity, which we consider to be the second-generation of our atmospheric water generator,” stated Wang.